Supports analog NTSC TV, digital over-the-air ATSC TV for North America plus clear QAM digital cable TV. Supports all 18 ATSC high definition digital TV formats for North America, including the highest definition 1080i. 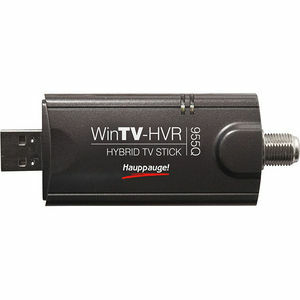 Includes Hauppauge's WinTV v6 application for TV watching and recording on PC's. Vista Premium certified for Microsoft's Vista Media Center application.